This entry was posted in News and tagged nendoroid, puella magi madoka magica, sakura kyouko, sayaka miki. Bit odd… Kinda weird why it’s now… Does that mean Madoka & Mami will be re-released too? 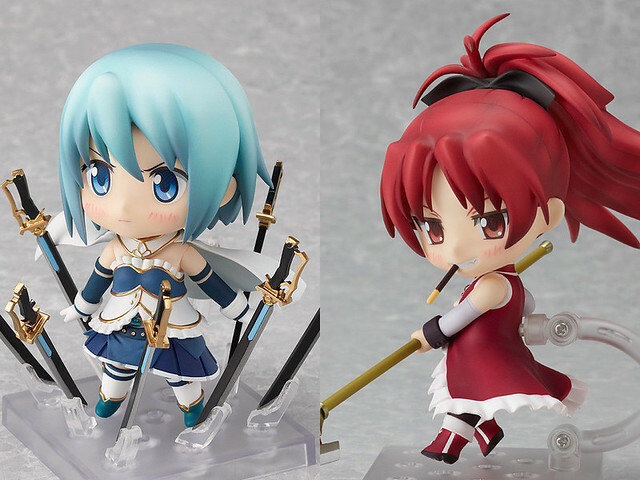 I think these two are being rereleased because figma Sayaka and figma Kyouko were rereleased in October of 2012. So, GSC thought they might as well rerelease the nendoroids! A reblogué ceci sur DIRECT JAPAN.